To manage fertility inputs for your fields, be sure to assess nutrient levels in the soil. It’s important to understand the soil sampling results of your fields in order to make informed decisions around soil inputs. 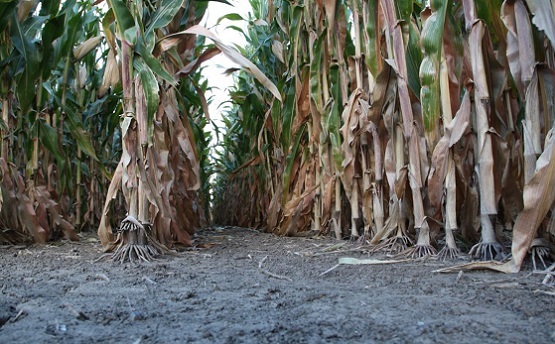 Fall soil sampling is a relatively inexpensive tool to help plan for your next crop season. Good soil sampling techniques can make a difference in receiving accurate test results. Avoid field edges or low areas and decide how many samples you will take per field to gain a representation of the field soil conditions. To get a sample for a portion of your field (20 acres or less) take a vertical column of soil (6-8” deep) and mix it with other soil cores. Taking a sample from a field at least once every 4 years. Sampling fields at the same time every year. Sampling after harvest when there are no crops in the field. Avoiding sampling where inputs were recently applied (lime or fertilizer). Allowing enough time for planning adjustments by sampling 3-6 months before the next crop. Soil pH is described as the measure of acidity or alkalinity of the soil. The pH scale is 1 to 14, where 7 is neutral. The type and amount of clay and organic matter content in the soil influences the hydrogen ion activity in the soil solution which is the basis of the soil pH result. 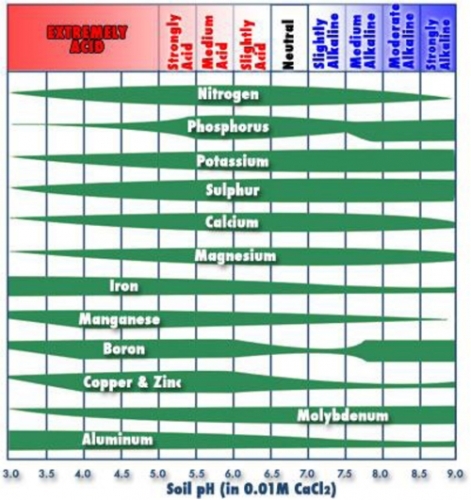 Soil tests may show a buffer pH result which indicates the amount of agricultural lime required to neutralize the hydrogen ions from the soil. “Buffer” refers to the ability of the soil to release acidity ions into the solution. For example, high clay soils are highly “buffered” and require more lime to raise pH to a certain level than sandy soils. Field crops perform best at a soil pH between 6.0 – 6.8 depending on the crop, as the availability of some plant nutrients are affected by soil pH. Soil pH can decrease or become more acidic due to factors like nutrient removal by crops, leaching of basic nutrients (cations in the soil) or using ammonia-based nitrogen fertilizers. Adding liming materials can raise soil pH levels for ideal crop production where nutrients are more available to the plant and create a healthy environment for critical soil microbes. Potassium (K) in the soil is typically unaffected by soil pH, but it may be limited by factors such as soil type, wetting and drying cycles, soil aeration and moisture. K is an exchangeable ion that easily binds with charged soil particles. The only other nutrient absorbed in larger quantities than K is Nitrogen. K is vital to many plant functions and cycles back into the soil from crop residue with precipitation. Dry conditions limit the movement of K in the soil. Another critical nutrient is phosphorus (P). Soil test results report P as an estimate of what is available to plants, not the total P in soil. P is commonly a limiting nutrient in crop production. The amount of available P is low because mineralization of this nutrient is slow, even while most soils have adequate P.
P moves very little in soil and does not leach even with large amounts of precipitation. The pH of the soil solution impacts P availability because it changes the P form (usable ionic form or unusable form). Soil pH between 6.5 – 7.0 allows the most P availability in the soil solution. Understanding key nutrients and soil factors such as pH, K and P provide information on potential soil inputs you may need to apply in order to maximize crop potential. Soil sampling allows you to fine-tune your nutrient management plan to build healthy, resilient soils over time. Contact your Golden Harvest Seed Advisor help answer your questions about managing your soil fertility and provide further agronomic insight.